All of our education graduates get hired. Our courses in child and adolescent development help Elms teacher candidates understand the physical, social, and emotional stages typical for the age group they will teach. The Massachusetts Geographic Alliance (MGA), one of 50 state geography alliances affiliated with the National Geographic Society, partners with Elms College to offer workshops that improve geo-literacy among teachers and improve their classroom resources. 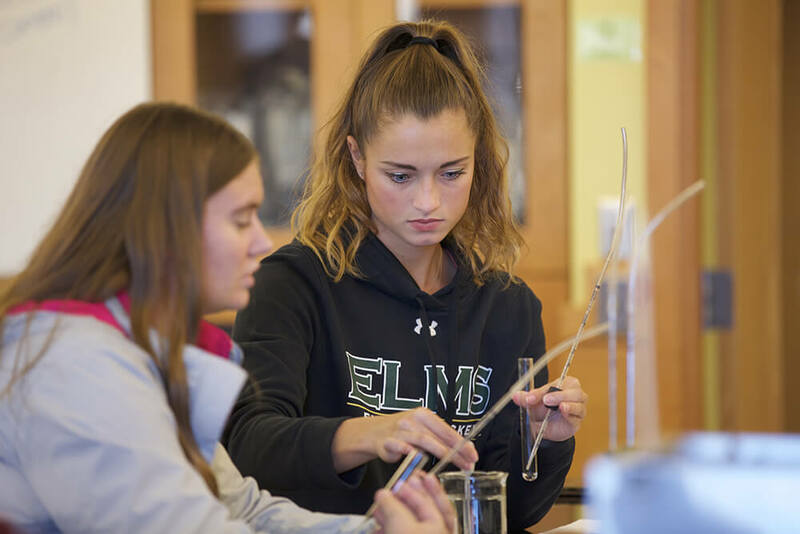 To gain extra teaching experience before graduating, senior biology major Jeszy McGuire works as a substitute teacher for Belchertown Public Schools. The Brimfield, MA, native solidified her skills as a scientist by helping Prof. Nina Theis, Ph.D., conduct a research project on floral scent and fly-wasp interactions. Applications are accepted on a rolling basis — and we’ve waived the fee! Apply when it fits your schedule. With of our students receiving financial aid, we know how to combine scholarships, grants, and loans to make your degree affordable.